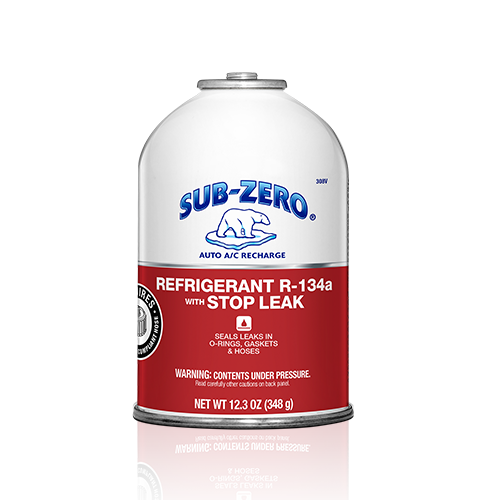 Sub-Zero® R-134a with Stop Leak contains approximately 11 oz. 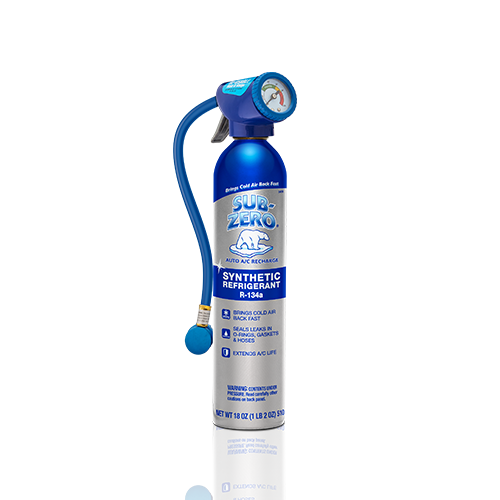 of R-134a and 1.3 oz. 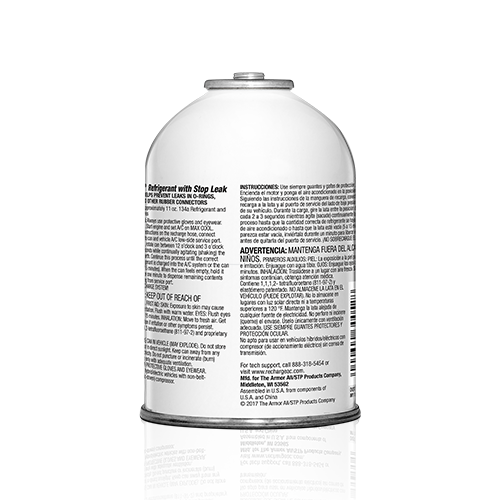 of additives. 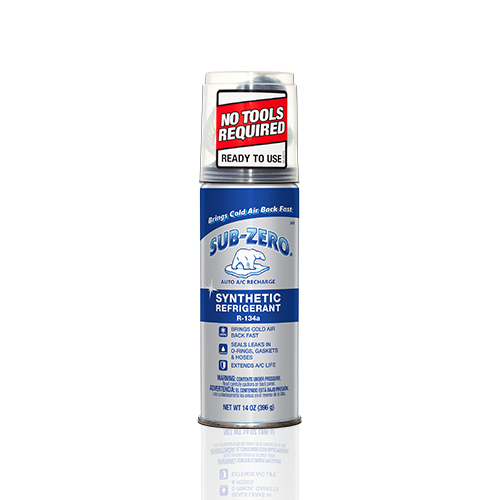 The stop leak additive seals common leaks in rubber components of the A/C system. 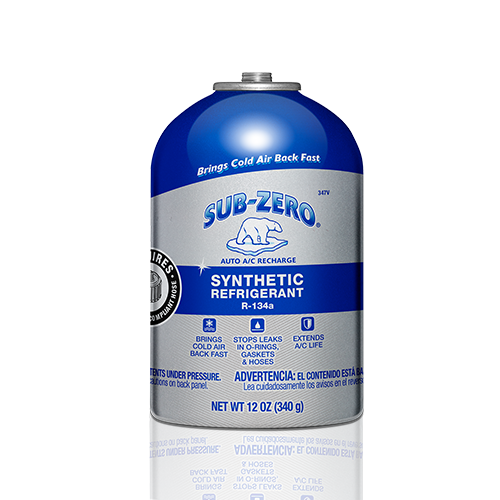 By sealing leaks, the special formula helps prevent future loss of refrigerant.